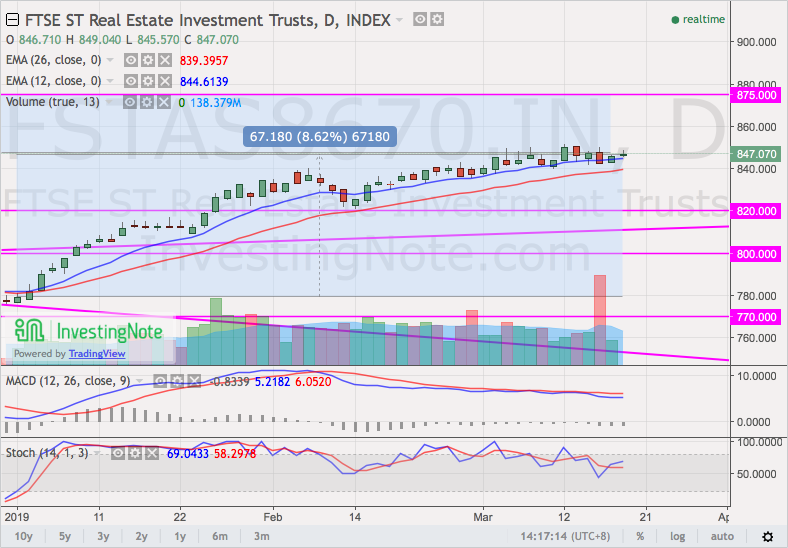 $FTSE ST Real Estate Investment Trusts(FSTAS8670.IN) closed at 847 on 18 Mar 2019, which is 3% away from high of 875 set in early 2018. We’re right in the middle of the 875 resistance and 820 support. 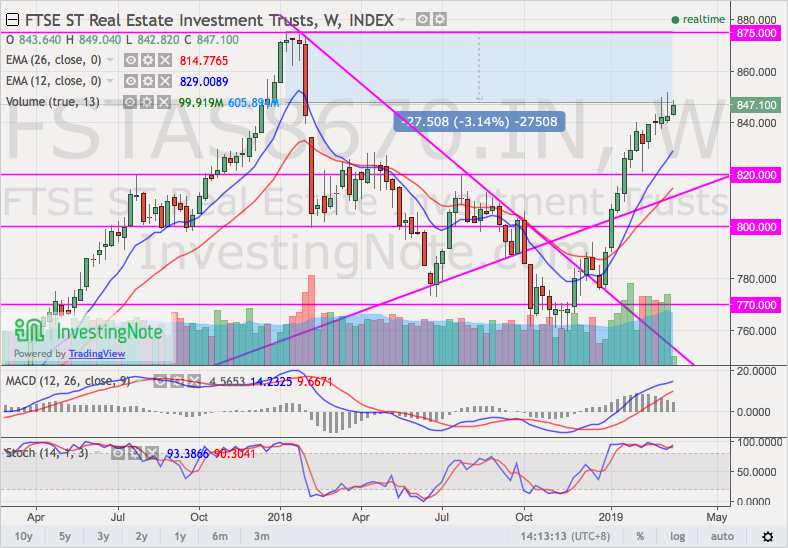 The Singapore REITs market is now in uptrend; since Jan 2019. Aggressive REITs investors might want to shop for strong REITs. To prepare a shopping list; Use https://app.yieldsavvy.com to identify the stronger REITs.